Cerec is a CAD/CAM digital technology, offering same day restorations, crowns and bridges. It eliminates the need for impressions, waiting lists and temporary restorations. Highly aesthetic, metal free and long lasting. • The dentist will prepare your tooth using a small drill. • A special camera is then used to take an image of your teeth which is then uploaded to the design unit. 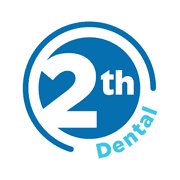 • This image is uploaded to a CAD/CAM unit, which creates a 3D model of your new tooth. • The model is used by a milling machine, which creates your new tooth from a block of high-quality ceramic that best matches your surrounding teeth. • The restoration is then fixed into place. The beauty of this incredible state-of-the-art equipment is that it can create crowns without the need for impressions, saving you a lot of time and the hassle of repeated appointments.